My husband and I were able to play in the studio last weekend! I just listed 26 new pendant and bead sets to our Etsy shop, Terra Rustica Studio. I love how the pendants turned out! I can’t believe the fine detail I was able to get using the sandblasted technique. Here is a blog post on the process. Some of my new favs. 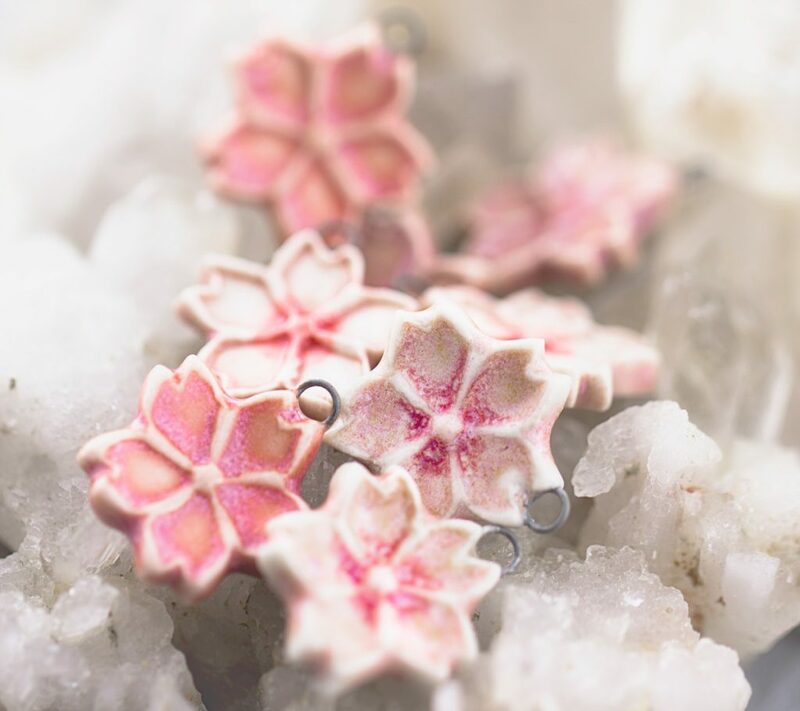 Cute and dainty cherry blossoms! Okay, a little late in the season, but these have been a work in progress. 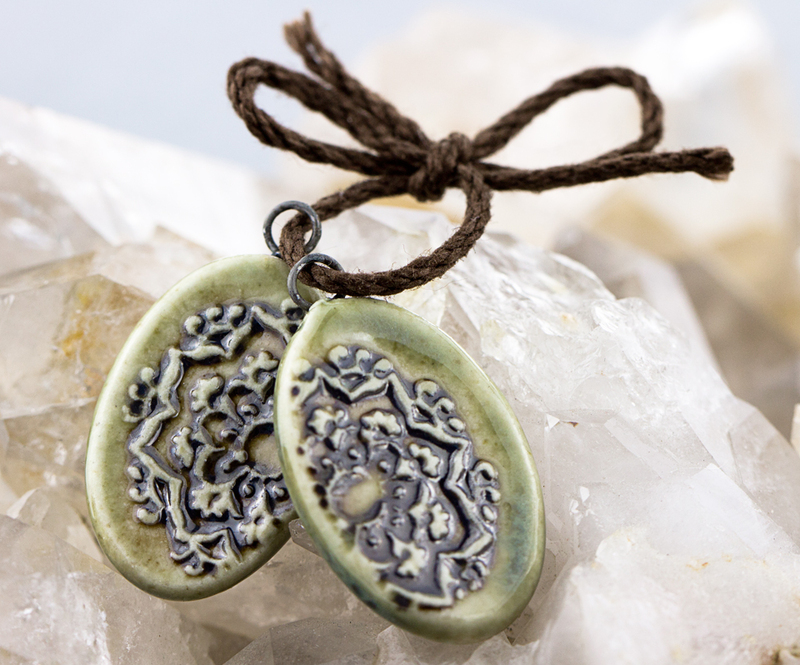 Oval mandala pendants glazed in olive green and chocolate brown. Yum! 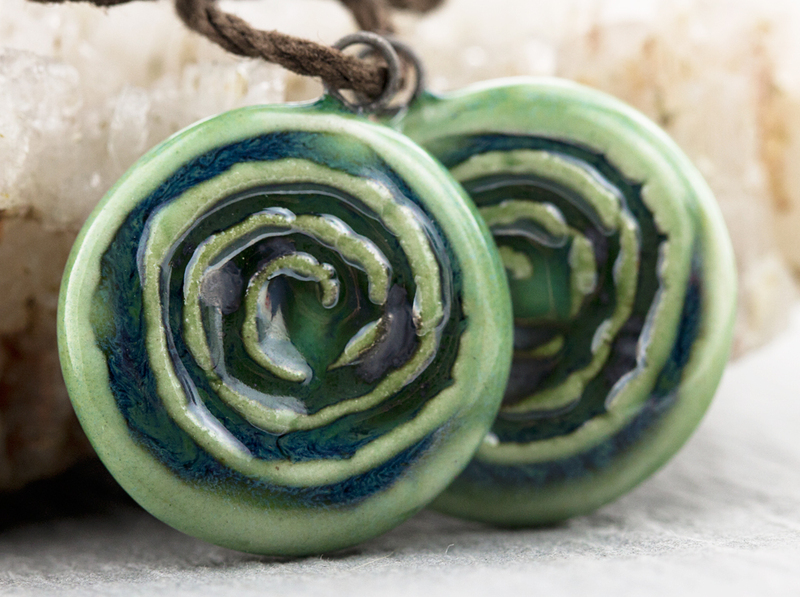 Sacred spiral pendants. The glaze and pattern remind me of swirling galaxies! These turned out very pretty. 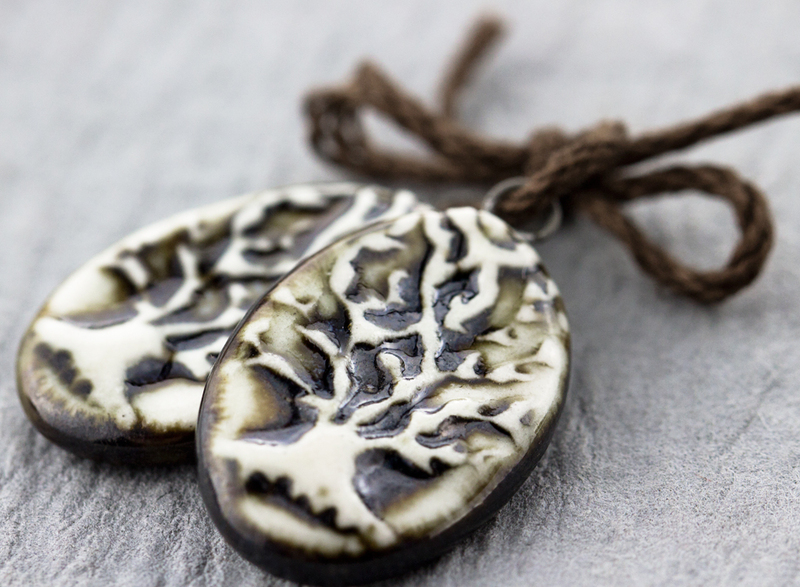 I love the rich texture on these pendants. I used a milky white over iron oxide, instead of a clear top coat and they came out very cool! 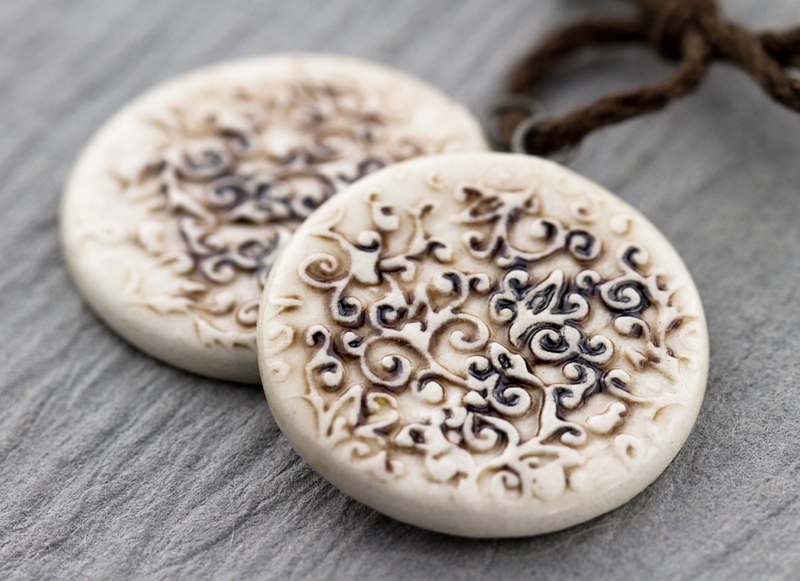 These round pendants are not even an inch in diameter. Only 7/8″. The swirl leaf pattern is so dainty and elegant! Lastly, these gorgeous beads from my husband, Ronnie. 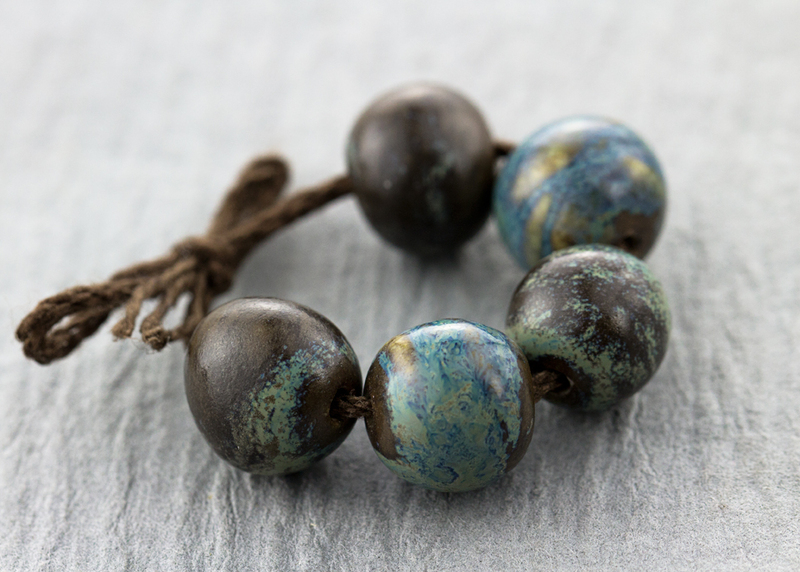 Just look at those yummy blue and dark chocolate colors! For more designs, check out our Etsy store, Terra Rustica Studio.